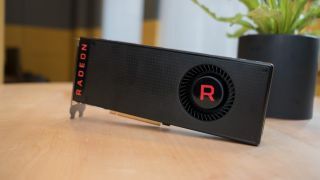 In the past, AMD’s powerful Radeon RX Vega 64 graphics card has been much more expensive than its recommended price – indeed when it’s been in stock at all – but Black Friday week has seen the price of the GPU tumble, with Newegg now offering up a truly compelling deal. Previously, Newegg was selling Sapphire’s RX Vega 64 for £505.19 (including VAT), but it can now be had for just £374.39 – a discount of 26%. That looks even more competitive when you remember that the RX Vega 64 launched with a recommended retail price of £549, as we noted in our review back at the time – and indeed the price of some models has pushed much higher than this in the past. Speaking of our review, we found this GPU to be an impressively speedy pixel-pusher indeed, managing roughly equivalent performance levels to Nvidia’s GTX 1080, the latter being a (last-gen) graphics card which is still pushing £500 in terms of its pricing.